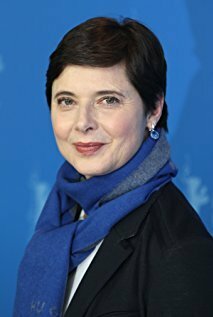 Isabella Fiorella Elettra Giovanna Rossellini is an Italian actress. Her films include Blue Velvet, Death Becomes Her, Big Night, The Saddest Music in the World and Incredibles 2 . Her television career includes the Earthsea miniseries and guest appearances on Tales from the Crypt, The Simpsons, Alias, 30 Rock and The Blacklist. She is the daughter of director Roberto Rossellini and actress Ingrid Bergman and was once married to Martin Scorsese. Blue Velvet (1986): Dorothy Vallens. Death Becomes Her (1992): Lisle von Rhoman. Wyatt Earp (1994): Big Nose Kate. Tales from the Crypt (1995): Betty Spinelli. The Simpsons (1999): Astrid Weller. Don Quixote (2000): The Duchess. Napoleon (2002): Joséphine de Beauharnais. The Saddest Music in the World (2003): Lady Helen Port-Huntley. 30 Rock (2007): Bianca Donaghy. The Blacklist (2013): Floriana Campo. Incredibles 2 (2018): The Ambassador.